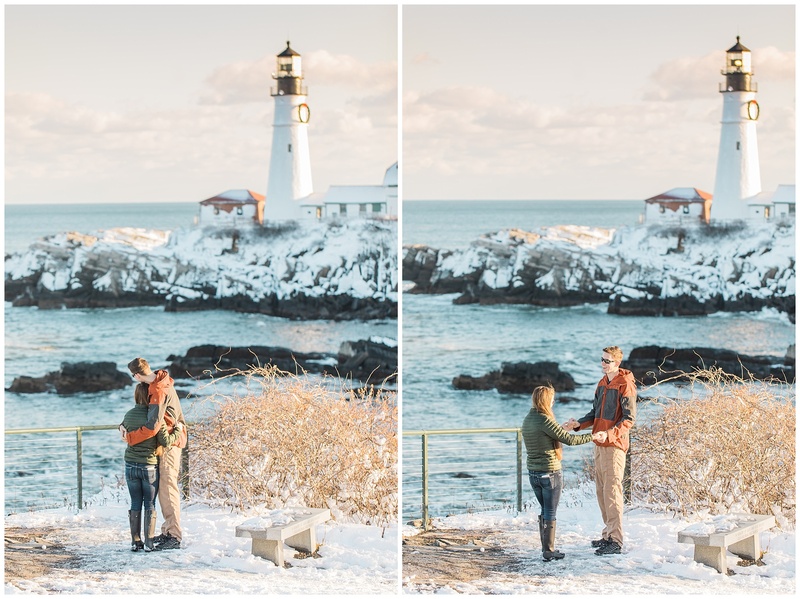 Alex chose the iconic Portland Head Light as the backdrop for this amazing moment for them to start the rest of their lives together. 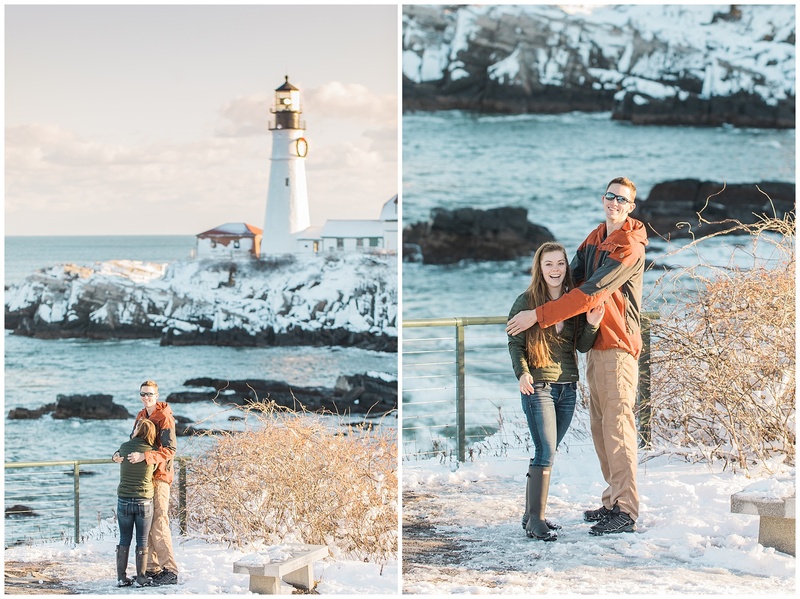 I have never been here in the winter, but the incredible rocky landscape covered in snow made me wonder why I had waited! 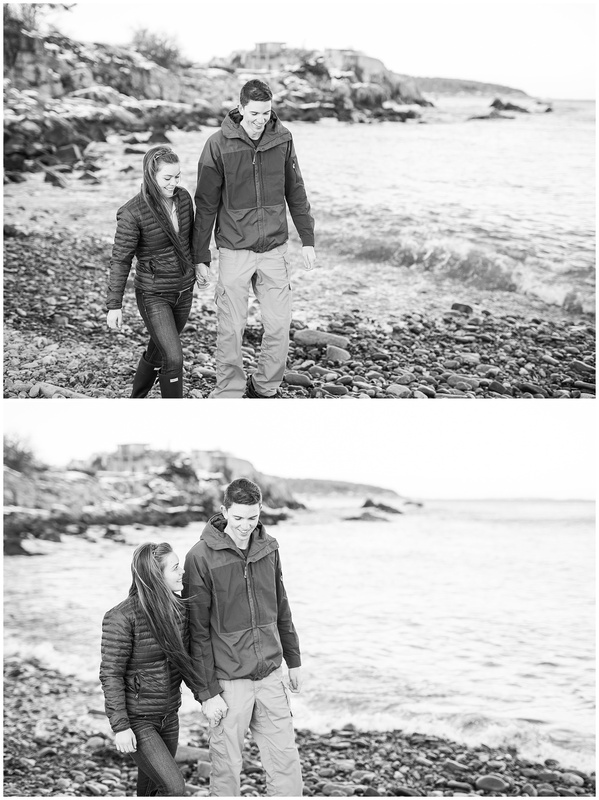 And then I made the trek down to the spot we had agreed upon that chilly December morning, and it started to make sense. 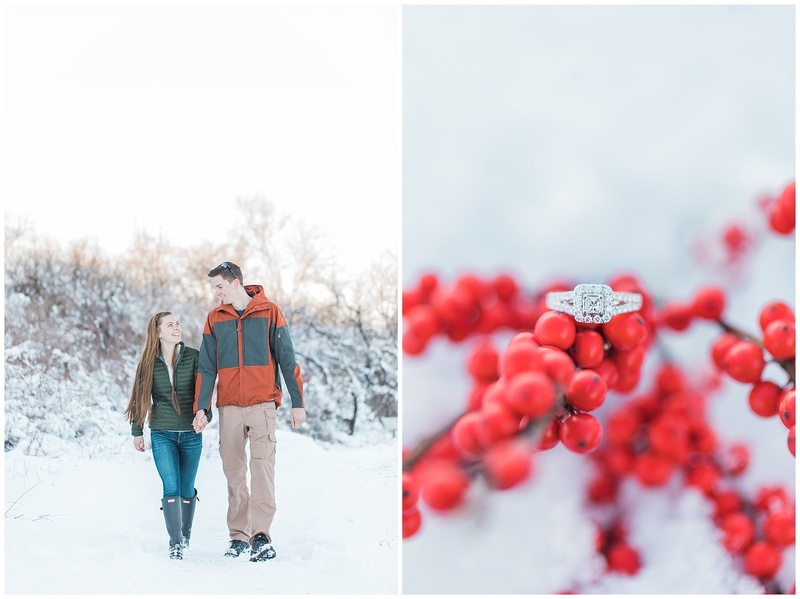 With the temperature in the single digits, and the pathway covered in ice and snow, it was no easy feat just to get into position! I did not have the luxury of staying close by, since 1) India knows me already, and 2) There were no other tourists or visitors to hide behind! 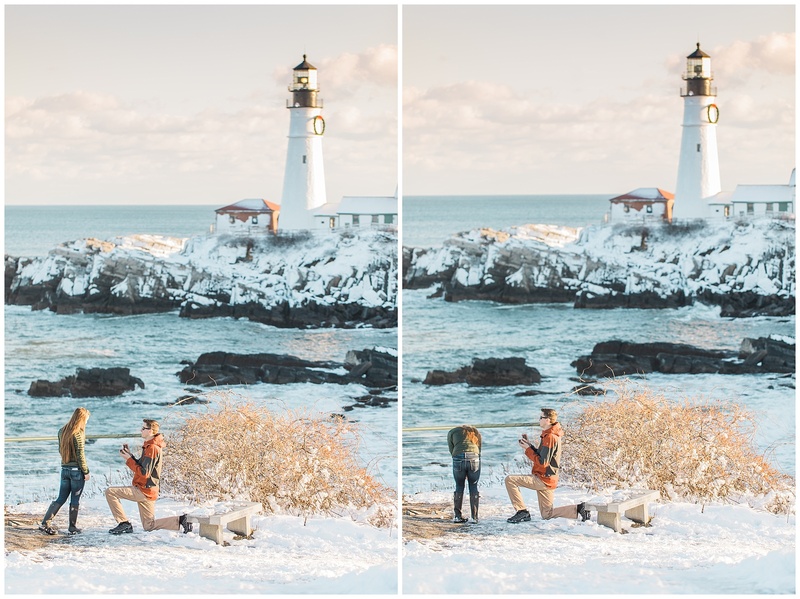 So I stayed far away and used a longer lens to capture this proposal so India wouldn’t see me! 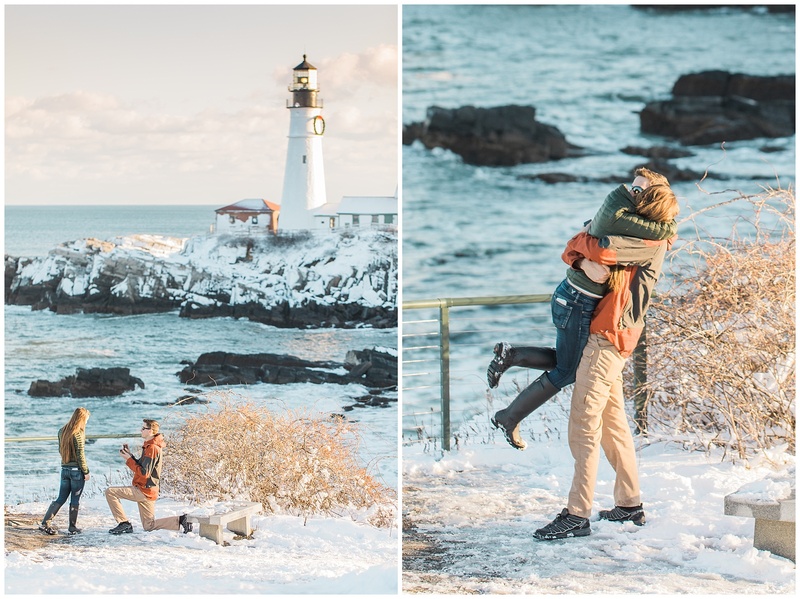 The proposal went off without a hitch (spoiler alert: she said YES! ), and I can tell you that India was genuinely surprised! 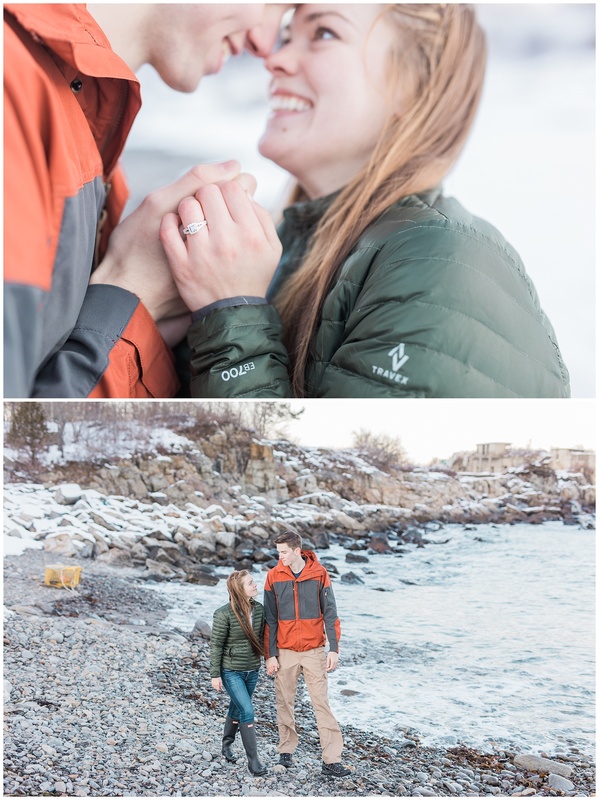 Alex had managed to convince her that he wouldn’t be proposing until after he got back from work in the Spring (he works with the Coast Guard). 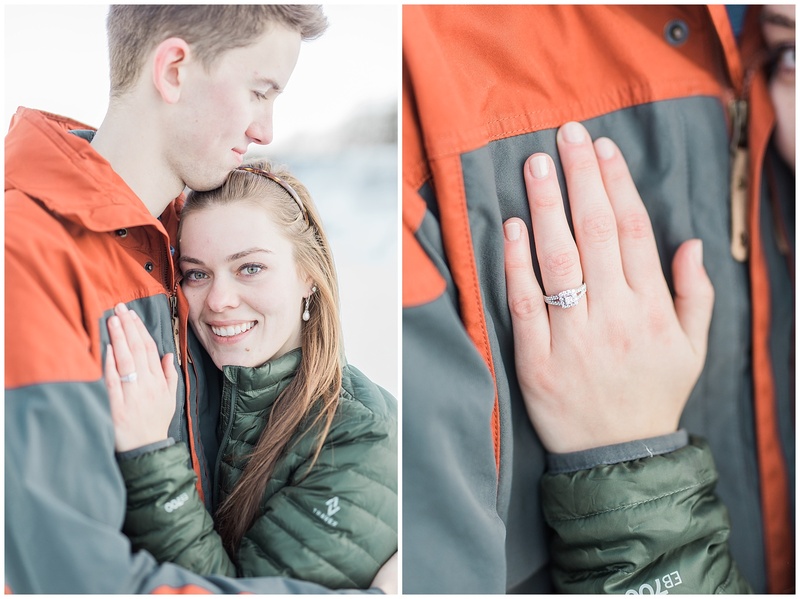 So it took India a few minutes after the proposal to really wrap her head around the fact that she was ENGAGED! 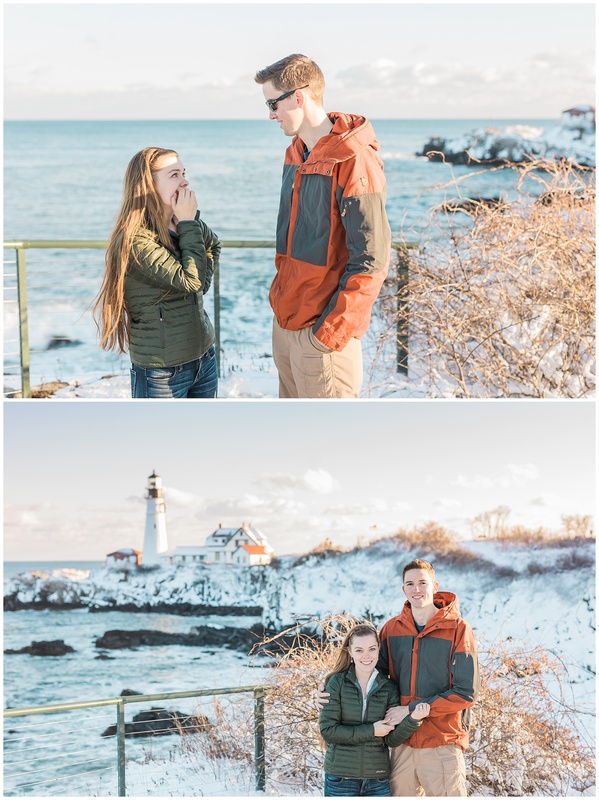 I loved seeing India’s face when Alex told her to look behind her and she saw me with my camera! 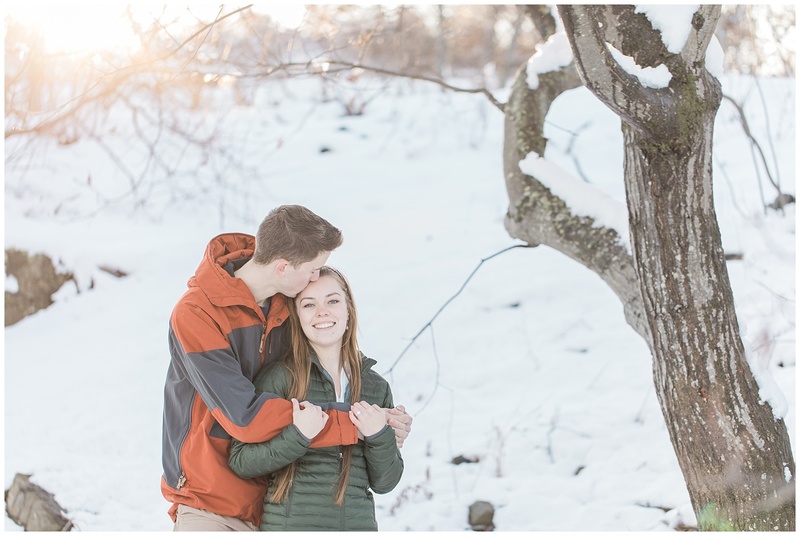 We walked around for a short time afterwards and took some pictures of these two lovebirds, but our time was sweet and short due to the fact that we couldn’t feel our faces or fingers! 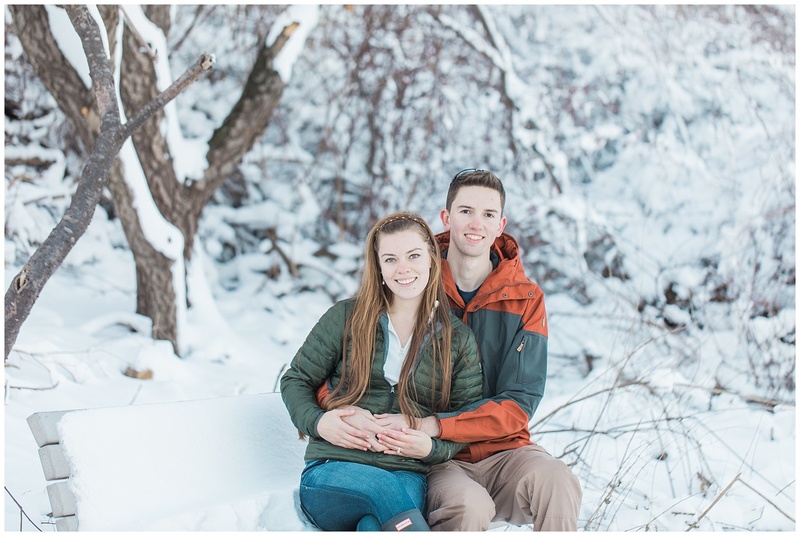 We might be planning another engagement session once the weather warms up a bit in the Spring, and of course I’ll be photographing their wedding later this year as well! Enjoy this fun session!